"As soon as I heard barking, I knew I had to go in there and save the dog." 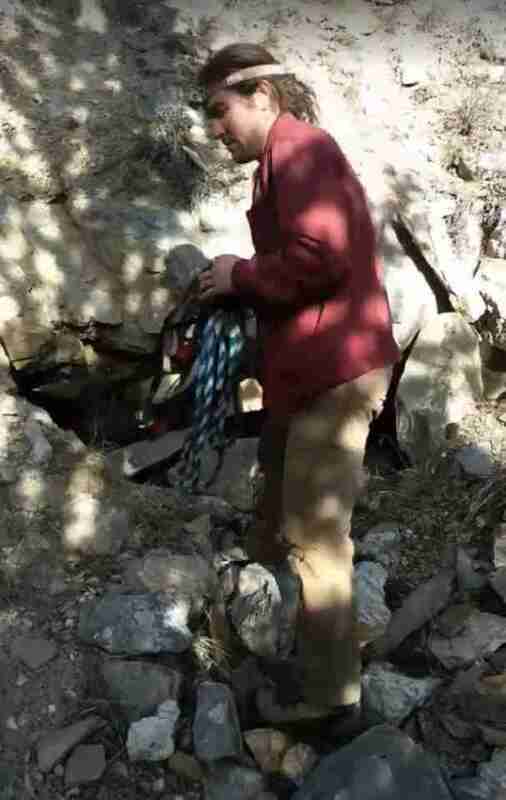 Earlier this month, Preston Gladd was hiking near his home in South Park, Colorado, when he had a sudden change of plans. Gladd had been hoping to explore an abandoned mine at the end of a rural road, recommended to him by a friend. But when he arrived, a strange sound from within caused him to turn back. "As soon as I got to the opening, I heard growling," Gladd told The Dodo. "I assumed a wild animal was living in there, so I just left. I didn’t want to get attacked." The mine was indeed occupied — just not by the kind of creature he thought it might be. A week later, Gladd returned to the mine to see if the coast was now clear. This time, he heard a sound from within again, only far more recognizable. "It sounded like a dog barking and baying," he said. 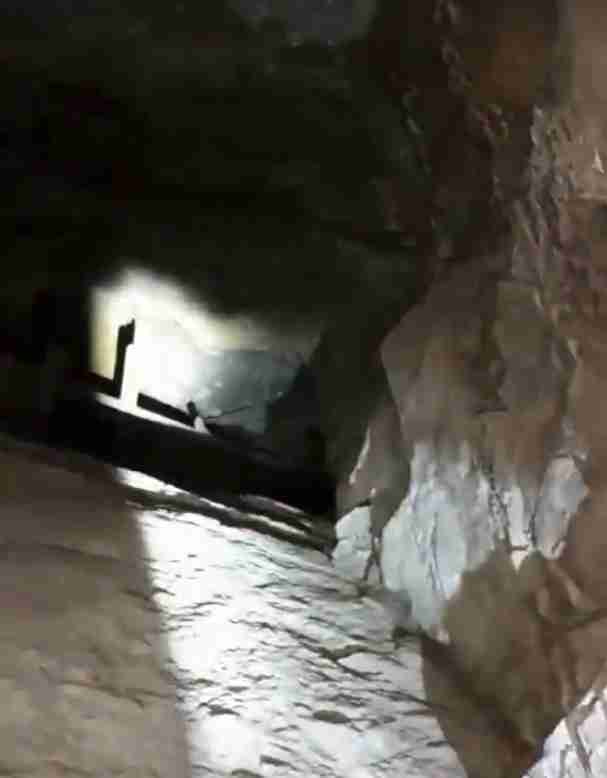 "I went into the mine with my headlamp on, I saw that there was a dog in this shaft that went straight down about 25 feet. I knew I couldn’t get down there by myself, so I went to my house and got my roommate and my girlfriend." Equipped now with climbing shoes, ropes, harnesses and more headlamps, the three of them raced back to the mine. The trapped dog was thrilled to have finally been noticed after so many days. Then Gladd began to rappel down to save her. "When she saw us looking down into the shaft, she was so happy. She was running around," he said. "When I actually got down into the shaft, she was trying to climb up me. She was definitely really happy to see me down there." Gladd's girlfriend, Portia Scovern, captured these images of the dramatic rescue. The dog was visibly exhausted, skinny and thirsty. So, after giving her water, they rushed her to a veterinarian. Fortunately, despite her ordeal, the dog was found to be in surprisingly good health. 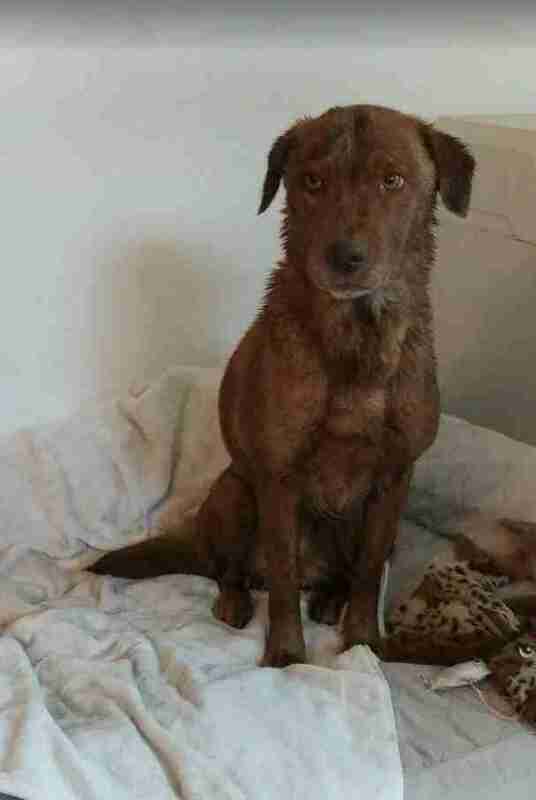 She wasn't microchipped, so tracking down her owner would take more time and a bit of luck. In the meantime, Gladd brought the dog home to stay with him. He even gave her a bath and let her sleep on his bed. Thanks to Scovern's post about the rescue, which has been shared far and wide online, the dog's rightful owner has been found. 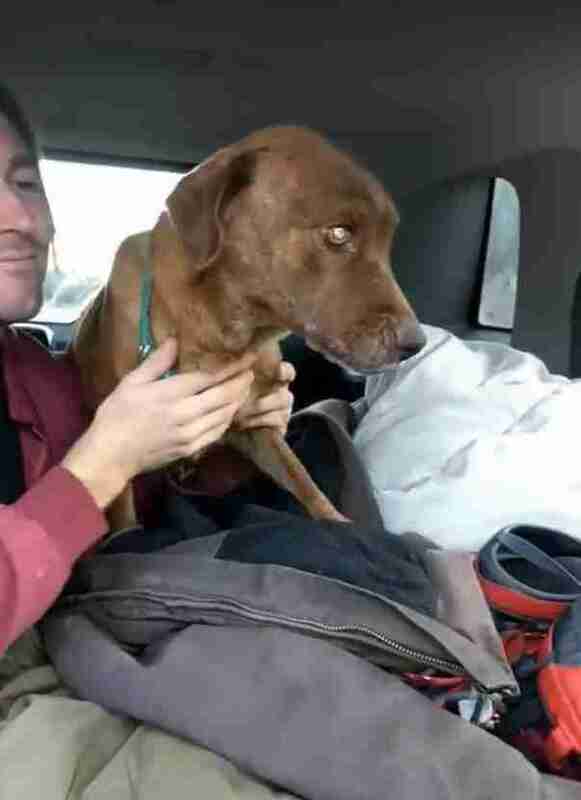 Though it's unclear how she came to go missing or end up in the spot where she'd been found, her owner couldn't be more relieved to have her back. "They have been reunited," Gladd says. "He was very happy about it. I’m going to meet up with him next week." For Gladd, he's just pleased to have been able to help. "I love animals. I have my own dogs," he said. 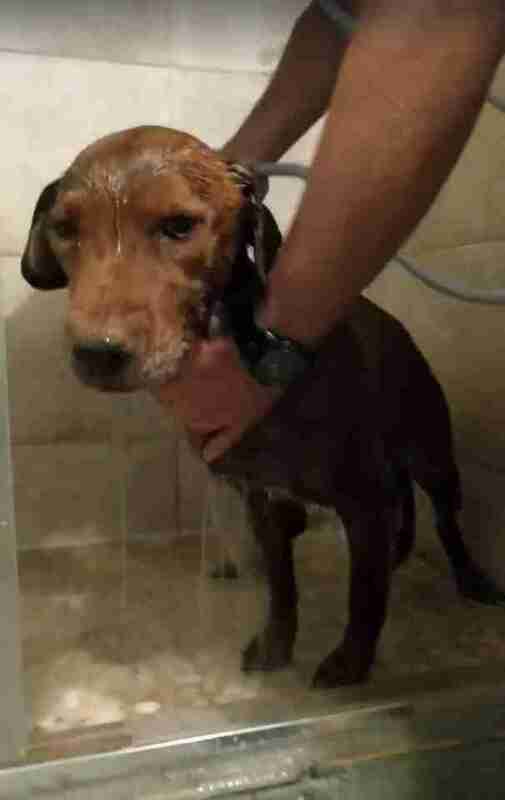 "As soon as I heard barking, I knew I had to go in there and save the dog."